Jay-Z and Blue-Ivy put on a sweet display as they prepare to watch Mum and wife, Beyonce perform. 9. 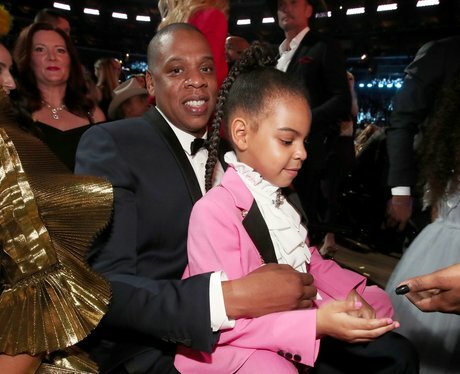 Jay-Z and Blue-Ivy put on a sweet display as they prepare to watch Mum and wife, Beyonce perform.